Get more from every track, thanks to the WX-800UI in-car media receiver. The built-in Digital Sound Enhancement Engine (DSEE) upscales your music. yes it will fit into your vehicle, depending on whether your vehicle has the 3 tier radio or the larger square radio the parts are different but both can have a double din. 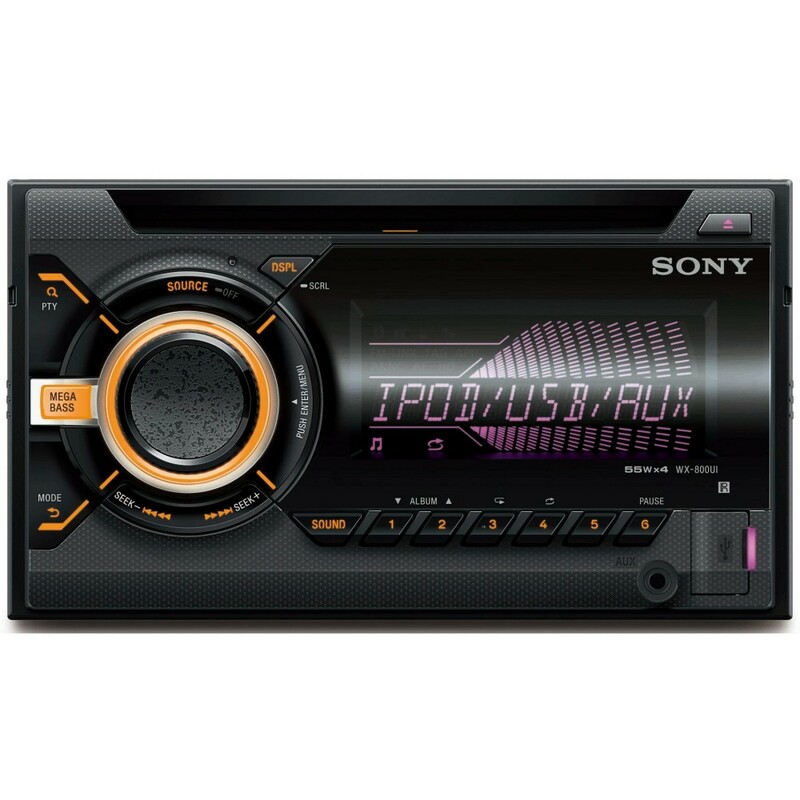 Does teh player sony wx-800ui fit on peugeot 307 sw, if now i have the original player with a 5 CD changer? The WX800UI can be installed in your Peugeot 307. You will need the below listed accessories for installation. What is the best price on this for trade ? What do I need to fit this to my 2004 MX-5? Will this stereo fit my car and work with my steering wheel audio controls? Or do I need to buy extra parts? extra parts will be required, can you tell us the year of your car? Hello will this fit the mk5 Astra vxr ? Will it fit my mazda? If so what I need? Would this fit a 09 reg mk 5 golf?? The Sony WX800UI can be installed in your VW Golf. You will need the below listed kit for installation. Could you tell me what I would need to fit this in a 2012 seat ibiza? Hi would this unit fit in the dash and work in a 2014 fabia? Hie I want to fit this in my 2009 clc does it come with steering adptor?